Zulu will be available on DVD and Blu-ray (with English and French audio) from Amazon, France on April 18, 2014. Thanks for bringing over the news of Zulu Sunstar. I will definitely be buying Zulu on DVD. France! Why not the U.S.? 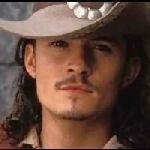 I hope and pray it is released here very soon because I want to see Orlando in this movie! Thank you Rene for the heads up. I'm glad Zulu is coming to dvd, but I too also hope it will be sold too through Amazon U.S. I was really hoping to see it on the big screen but I take it anyway possible. Fingers crossed that we can get it through Amazon U.S. I just checked the U.S. Amazon site and "Zulu" is not listed yet. Hopefully soon! Thanks for checking and reporting, Pam. Hope Zulu will be released onto DVD soon. Does anyone know if Zulu is going to be released onto DVD and on Amazon soon? I really want to see Orlando in Zulu. Kimberley, I also am impatiently waiting to see Zulu. But as much as I want a dvd, I would dearly love to see a wide release of the movie in theaters, and I don't mean just 10 or 12 cities! Serendipity, I just found out that Zulu is available on DVD on Amazon France. I just ordered the DVD and am excited to see it when it arrives. 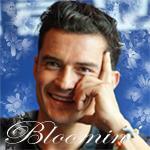 I can't wait to see Orlando in this role, it sounds intriguing. I don't know if it will be released in theatres in Canada, so I decided to order it off of Amazon France. Is anyone else going to buy Zulu? I'm assuming Canadian DVD players can play Region 1 (includes the US and Canada) and Region 2 (includes Europe) discs? I know that in the US, you can't play Region 2 videos without purchasing a region-free player/converter, and you have to get those via the internet as they aren't available in any store. I bought one years ago for that very reason. Hopefully it will come out in the Region 1 format eventually. I cancelled my order of Zulu on Amazon France because after reading your post Jan, I didn't know if the Zulu DVD I ordered would be able to play on my DVD player. The DVD I ordered didn't say if it was Region 1 or Region 2 so I will wait until it comes out in the Region 1 format. Hopefully it will happen soon. Thank you Jan for letting me know about Region 1 and Region 2 discs. Well, hopefully they will release it here soon. I just checked the Amazon US site and found that Zulu is now available to buy on Amazon. I hope it is a Region 2 DVD. Is this the DVD you saw, Kimberley? If it is, it's a Region 2 Import and is the same as the one on the order you cancelled. Thank you for the information Rene on the Zulu DVD. The one order that I cancelled Rene on Ebay, I was told by the seller it was a Region 2 DVD which wouldn't play on my DVD player. This DVD looks exactly like the one that I cancelled which probably means it's for Region 2. Just read on the Amazon site that it is Region 2. I missed reading that yesterday. I hope it will be available for Region 1 soon. Does anyone know when Zulu will be released on Region 1 DVD? I really want to see Zulu and hope that it will be released on Region 1 DVD. Zulu will be released on DVD in Canada on October 28th, and in Germany on October 31st. Thanks, Rene. Hopefully the U.S. will be next. Well, it's getting closer. At least Canada is region 1 for dvd's, and if I get desperate enough I can order it from there. For anyone who wants to know, I just received my Zulu dvd from Amazon Canada. It is region 1 and works fine on my DVD player. It was 10.99 in Canadian dollars, plus 9.98 shipping charges. In American dollars, the total was $18.52. I watched the movie as soon as it arrived, and was once again amazed at the talent of our guy. I had to keep reminding myself that this was indeed Orlando Bloom.I won't go into details except the say the violence is pretty graphic, but thankfully not as much as the book. One more thing, the copy I ordered is ZULU bilingual, so you can view it in English or French.